During the last decade the HiFi market has literally been flooded by Chinese products, sold either "as is" or "rebadged" (at Western World prices!). There are very good Chinese products (which don't come cheap) and a pletora of El cheapo things we can easily forget. Many of these can be bought factory-direct (which is sometimes risky), while others are regularly distributed in the Western World by serious and reliable distributors. 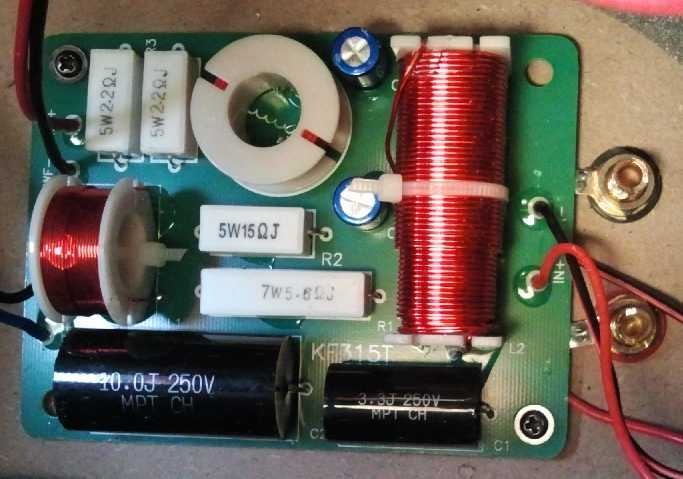 AAAVT have been importing and distributing Chinese products for years, mainly small and inexpensive tube amps (we reviewed their Yarland and Yaqin amps in the past). They have started distributing loudspeakers too, and we've been offered these BBL-N stand-mount speakers to test, which are nothing more than the model K-5400T by Koda, a Chinese brand. Founded in 1992 in Guangzhou (Canton), this company has two different product lines (brands): Koda and Goldsky. Their plants occupy an area of 130.000 sqm (!!!) and have been built following the garden industrial park style (see pic). Their R&D department collaborates with Nanjing University, South China University of Technology and Guangzhou University. In particular the Department of Acoustics of the Nanjing University designed and built the anechoic chamber Koda uses for loudspeakers tests. The Company possesses ISO9001 and ISO14001 certifications and builds products following the strict requirements of UL, DTS, CE and 3C guidelines. In other words, we're talking about a real, modern industrial giant which is bigger than most of our Western loudspeakers companies. These BBL-N, or Koda K-5400T if you prefer, are quite traditional 2-way bass reflex speakers, with a plus: they use a very good 6 x 3 HiVi RT1.3 isodynamic tweeter. Even the 5.5" woofer, which I've been unable to identify, seems a very good driver, with a huge magnet and a super-stiff die-cast aluminium basket. Both drivers are nicely flush mounted on the cabinet. Considering the price range of these speakers, the cabinet appears to be very well made of reasonably thick MDF, with internal damping panels and is filled with acoustic foam. In the rear you will find a bass reflex port and a pair of monowiring binding posts that accept any kind of termination. The crossover network (see pic below) is rather complex but appears well made. Internal wiring is made with the classical figure-8 wires with fast-on terminations. Overall, these speakers appear nicely designed and crafted, which is rare in this price range. Will the speakers keep their promises? Their tonal balance is, as expected considering the price range, slightly of the loudness kind, i.e. highs and lows sound slightly elevated. Luckily, the quality of the drivers (especially the tweeter) is good so this characteristic isn't totally unpleasant. The bass range appears solid, powerful and quite surprisingly deep considering the size of the woofer and of the cabinet. The manufacturer claims a frequency response extending to 58 Hz (at -3dB, I guess) and I can certainly confirm this. Bass articulation is good but it could be better. Actually, the whole speaker sounds slightly slow and laid back so articulation of bass notes suffers. This relaxed personality makes the speakers very easy to listen to even after hours and hours. While perhaps not always exciting, these Koda K-5400T's can sound extremely forgiving (too forgiving maybe?) with even the worst recordings, and this is a big plus for those who prefer to listen to their system at lenght, playing everything regardless of the audiophile quality of the recordings. The mid range is, as you'd expect, slightly recessed and...shy. Voices appear a bit thin and lack their natural body, also there's a reduced presence effect. It is difficult to understand if this has been a deliberate choice of the manufacturer or if the crossover network has been poorly designed. Indeed, this lack of energy in the mid range might be caused by the drivers having been forced to work in areas where they don't perform at their best. For example the tweeter frequency response is severely limited: below 2 Khz there's almost nothing, see its frequency response plot. Or maybe the woofer has been forced to work in the upper portion of the mid range? As a result, soloist voices and choirs are reproduced with less energy than one might expect, though there's no trace of severe distortion or compression. So my suspicion is that the crossover point has been poorly selected. This even affects percussions reproduction (e.g. snare drums), which appear a bit slow and not 100% as lively as they should be. 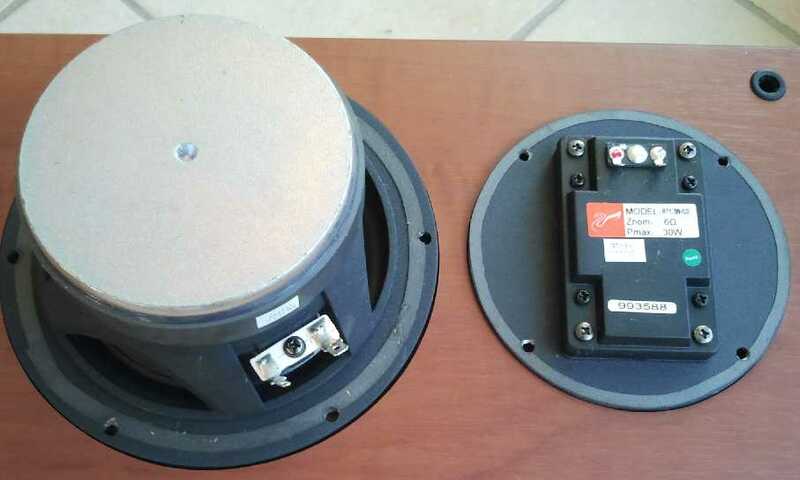 Generally, the sound appears bigger than one might expect and, thanks to the excellent performance of the tweeter, these speakers can retrieve a large amount of details and micro-informations. Only on very complex tracks traces of confusion and compression can be detected, and this happens even at low listening levels (crossover fault again, maybe?). On the other hand, listening fatigue is very low and these speakers can be played for hours even at very high listening levels. These speakers have a lowish sensitivity (85 dB) and this means you might need a generous amount of power to make them sound really loud. Consider that the drivers seem to be able to handle high power, getting high SPLs isn't a real problem. Even strong dynamic peaks get reproduced without efforts. Hence, these are not the right speakers for rock, dance or pop, though they could be almost perfect for acoustic music, light jazz and classical (not symphonic, I'd say). I haven't perceived severe limitations in overall dynamics and, with the right amplifier, they can even fill large listening rooms. Fill, not make everyone dance. Not enough foot stomping effect, I'm afraid. Considering the laid-back attitude I expected a virtual image with a good sense of depth. And that's exactly what happened...this is NOT a speaker that sounds in yer face, that's for sure! Voices and instruments take place behind the speakers...provided there's enough room behind them, of course! Even the height of the image is rather good, and that's another gift from the tweeter! 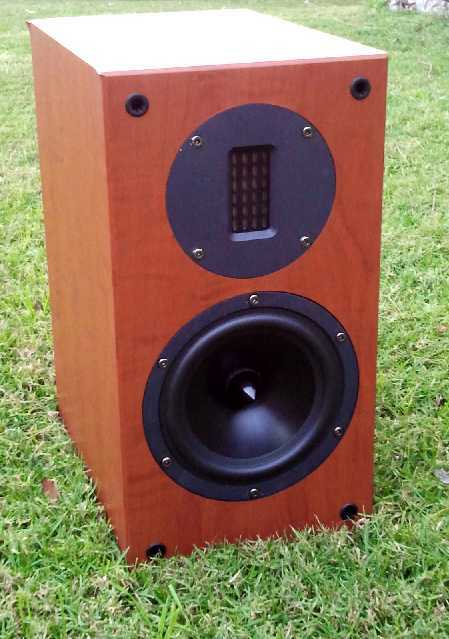 My reference, in this price range, is still the old Norh 4.0 Thai drum-shaped bookshelf loudspeaker. For the first time I've found a similarly priced bookshelf speaker that can rival the Norh's in terms of soundstaging! No, the ability of the 4.0's (they completely disappear) is almost impossible to beat and so is the focus of the image but the Koda's come very close! Don't forget we're talking of a 300 € loudspeaker so it is a miracle we can discuss of 3D soundstage and imaging at all! With a better mid range I'm sure the speakers could reproduce better defined horizontal planes (behind and in front of them). Indeed, as is, everything appears to be pushed against the rear wall. Installation is straightforward but I'd suggest avoiding shelves or racks...a pair of reasonable speaker stands will allow these babies to express their real potential! Far from the walls and with almost zero toe-in, this is how they gave their best, at least in my listening room. Your mileage may vary, of course. Start with the speakers perfectly parallel then apply tiny amounts of toe-in to find the best compromise. The bass range is already powerful, so I'd avoid reinforcing it by means of the rear wall. If you put the speakers too close to the rear wall the bass range will easily become too much of a good thing. When considering partnership with an amplifier, keep in mind their low sensitivity (85 dB) and the 4 Ohm nominal impedance. I'd avoid low powered amps and I'd start with 20 good watts per channel, at least. 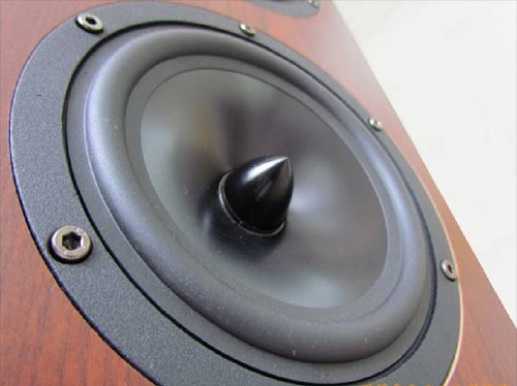 Avoid electronics with the same loudness character as the speakers. Perhaps a reasonably powered tube amp with a strong mid range would be a good partner. Quite simple and essential, these speakers appear to be well engineered and crafted. The cherry wood imitation - the only finish available - is realistic but the sheets of pvc seem fragile and prone to tear apart at the edges of the cabinet. 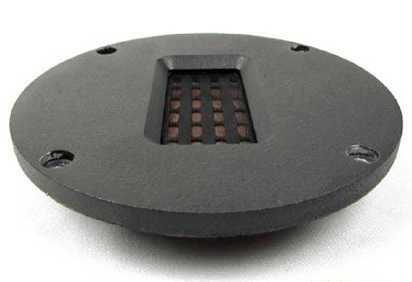 A well made dust grille is supplied, just in case of need. Biwiring isn't an option (a clever choice, in my opinion). The shipping boxes are extremely simple and quite fragile. A certain slowness seems to be the weakest point of their performance. With certain kinds of music liveliness can't be just an option, it should be...default! On bright recordings the tweeter can be more prominent than necessary but thanks to its quality it doesn't sound fatiguing. The woofer is a good unit, powerful and solid, it just lacks a bit of articulation. The mid range is recessed and shy. In my opinion the manufacturer should re-design the crossover network. I used these speakers for a quick, though unorthodox, comparison test with the recently reviewed Trenner & Friedl ART, similarly sized bookshelf speakers that cost 10 (ten) times as much! As I wrote in that review, the T&F's were hands down winners, though the Koda's bass range seemed to have more weight and depth. The price difference is significant and, in my opinion, can be hardly justified if one compares just sound quality. I'd rather say that a more reasonable price difference could be a 3X factor, not 10X! This means that, first of all, it is very difficult to find a modern HiFi component that sounds really horrible and, secondly, that subtle improvements are often achieved only by spending large amounts of money. The comparison with the similarly priced Norh 4.0 is more reasonable: while the Koda's do possess a bigger sound, with plenty of bass, the Norh's exhibit a far better mid range and possess PRaT in spades. Even the 3D image is better with the Norh's though the performance gap isn't excessive. When all is said and done, I'd rate the quality/price ratio as very good considering the quality of the drivers and of the construction. Without that strange behaviour in the mid range they would become absolute bargains. This is a pair of quite interesting speakers: reasonably well made, with a very good quality/price ratio. The loudness character is almost standard in this price range, so it shouldn't come as a surprise. The laid-back attitude affects overall liveliness but, on the other hand, this allows for long and not fatiguing listening sessions. Not everyone's cup of tea, maybe, but certainly they deserve some attention.